After nearly 60 years of playing outlaws, journalists and other outsiders, Robert Redford is ready to hang up his acting hat. The actor, filmmaker and founder of the Utah-based Sundance Institute has announced he will retire from acting, and that his next movie, “The Old Man and the Gun,” will be his last in front of the camera. Redford, who turns 82 on Aug. 18, made this announcement in an interview with Entertainment Weekly, posted online Monday. A spokeswoman for Redford confirmed the EW report. In “The Old Man and the Gun,” Redford plays Forrest Tucker, a real-life bank robber who excelled at breaking out of prison over his 60 years as a criminal. The film is directed by David Lowery, who also directed Disney’s 2016 update of “Pete’s Dragon,” in which Redford co-starred with Bryce Dallas Howard. Lowery’s first movie, the crime drama “Ain’t Them Bodies Saints,” debuted at Redford’s Sundance Film Festival in 2013. Redford started acting onstage in New York in the late 1950s, and by 1960 was starting to land television work, including episodes of “Maverick” and “Perry Mason,” and an early success in a TV adaptation of “The Iceman Cometh” opposite Jason Robards. 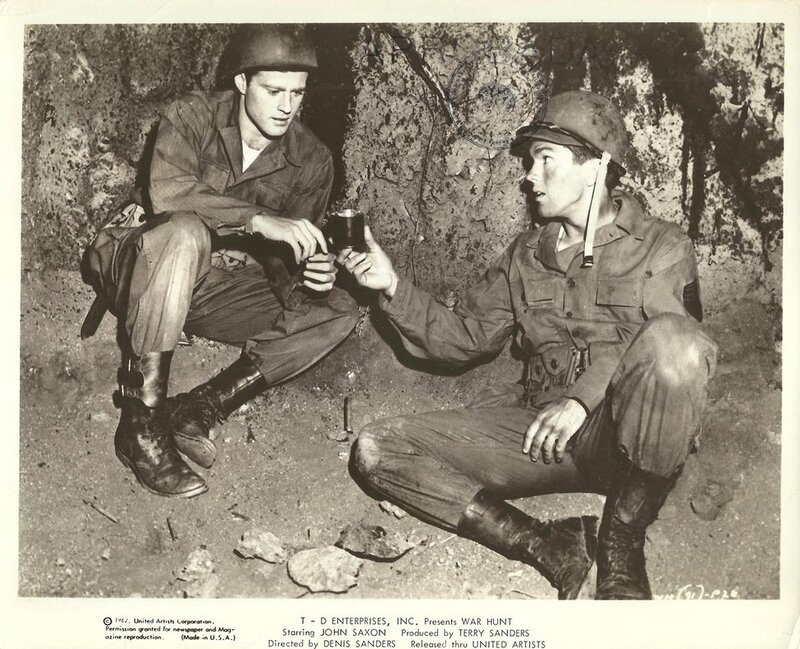 (Courtesy United Artists) Robert Redford (left) and Tom Skerritt play U.S. soldiers fighting in Korea, in the 1962 drama "War Hunt." It was the first movie for both actors. In 1963, Redford got his star-making Broadway role, as an uptight newlywed in Neil Simon’s “Barefoot in the Park” — a role he would reprise in the 1967 film version, co-starring with Jane Fonda. Redford became a screen idol in 1969, when he starred with Paul Newman as outlaws trying to go straight in “Butch Cassidy & the Sundance Kid.” The studio didn’t want Redford, and it was the intervention of Newman and director George Roy Hill that landed him the part. 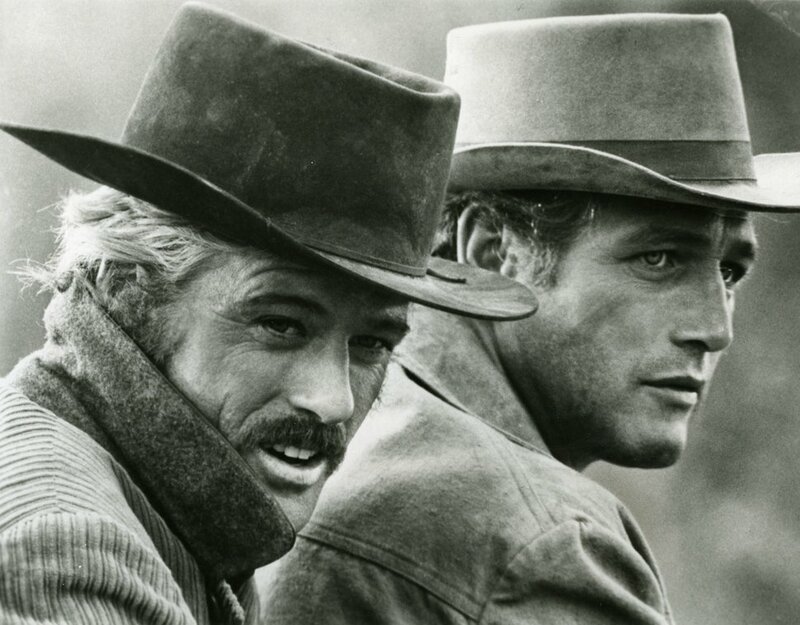 File | The Salt Lake Tribune Robert Redford and Paul Newman in "Butch Cassidy and the Sundance Kid." The same year, Redford bought the old Timp Haven ski resort in Provo Canyon and renamed it for the character that brought him fame: Sundance. Redford became perhaps the most bankable actor of the 1970s. He was often cast as patrician figures seeking acceptance, such as the screenwriter Hubbell Gardiner in “The Way We Were” or the high-living title character in “The Great Gatsby” (1974). But just as often he played characters challenging the norms of society: the backwoodsman of “Jeremiah Johnson,” underdog Senate hopeful Bill McKay in “The Candidate” (1972), or metro reporter Bob Woodward covering the Watergate break-in in “All the President’s Men” (1976). In the ‘80s, Redford acted less, devoting his time to directing films and launching the Sundance Institute, which in 1985 took over operations of the United States Film Festival — what’s now the Sundance Film Festival. His first movie as director, the dysfunctional family drama “Ordinary People” (1980), won the Academy Award for Best Picture, and an Oscar for his directing. In all, Redford has directed nine movies — “A River Runs Through It” (1992) and “Quiz Show” (1994) among them — and has not ruled out the possibility of directing more. Redford received an Academy Award for lifetime achievement in 2002. He was nominated for Best Actor in 1973 for “The Sting,” and critics were shocked when he was passed over for a nomination for his solo performance in 2013′s “All Is Lost.” Fox Searchlight is expected to mount an awards campaign for “The Old Man and the Gun,” which is now Redford’s last shot at Oscar acting gold.